We may still be in the midst of Fashion Week’s worldwide but there are a few trends throughout that you can expect to see in every store come Spring. Some hate it, some love it. But there’s no doubt that Spring 2017 was obsessed with all things shoulders. 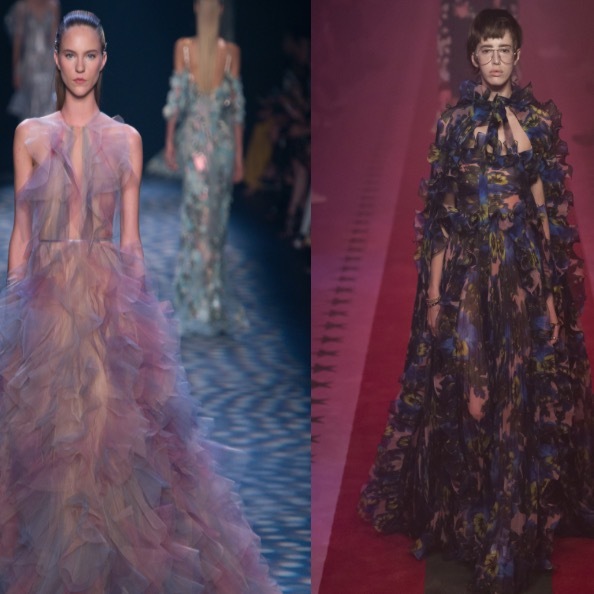 These are the kind of looks you’d imagine yourself wearing whilst standing in an eden filled with fireflies and a million lilac, light blue, dusty pink roses. Spring 2017 is a season for royalty. Somewhere between a soft pastel and retro neon, the color palette of spring includes some extra sweet flavors. Taking neutral colors to a whole other level, expect to find sheer and skin based tones in every shade in everything from bodysuits to gala ready gowns. Fashion continues to reinvent a time filled with high necklines, lace ruffs, and leg-of-mutton sleeves in a way that almost makes us wish we lived through the era.